You are here: Home / Sports / MIZ-SEC / Could tonight be the night that Mizzou snaps their long losing streak away from home? 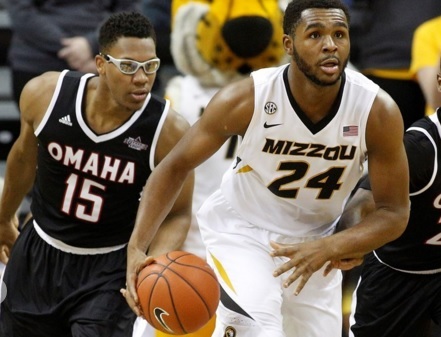 Could tonight be the night that Mizzou snaps their long losing streak away from home? The last time the Missouri Tigers won away from Mizzou Arena was November 26th, 2014 in Maui against Chaminade. The last time the Tigers won an SEC road game? January 28th 2014 at Arkansas. That drought could end tonight in Oxford, Mississippi, when Mizzou faces Ole Miss. We’ll probably know within the first ten minutes if the Tigers are in this game. Looking at the SEC road games for Mizzou, this has been their deficit at 10-minute mark of the first half and the final outcome. It’s clear to see, bad starts on the road took any chance of the Tigers snapping that SEC road losing streak. In all but two games, the Tigers were in a hole that was too big to climb out of. After the first ten minutes, outside of the Kentucky and A & M game, the Tigers played their opponents fairly even. The key for the Tigers again in this matchup is making Stefan Moody work. He scored 23 against the Tigers back on Feb. 4, but was just 6-of-18. “We know the ball is going to be in his hands,” says freshman guard Terrence Phillips, who will have the job of slowing Moody down again when the teams tip off at 8 p.m. The issue was that Mizzou had to work back from a ten-point deficit and at the end ran out of steam. Coming back from a big deficit almost worked at home. It will not work on the road. What can be the difference? Ryan Rosburg and Kevin Puryear. They were non-factors combining for 11 points on 5-of-11 shooting. Getting the ball inside and having them contribute could get Mizzou over the hump. They have obviously played better offensively since the last meeting. At Mizzou Arena, Mississippi hit a season-best 14 three-pointers in 31 attempts, five of them by Moody and four by Tomasz Gielo. Wes Clark led the Tigers with 20.